Reeving Choker Slings – FERRETERRO INDIA PVT. 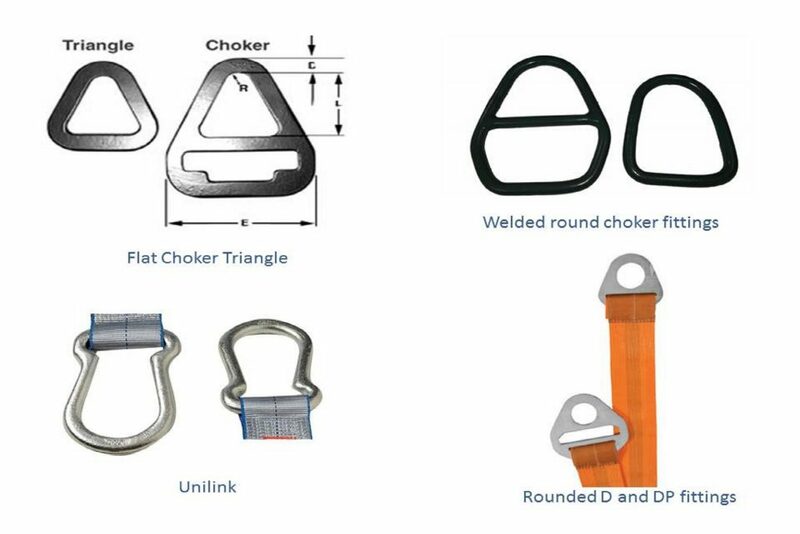 LTD.
Our product range include Reeving Choker Slings with alloy steel hardened fittings. All hardware are made in-house. These slings are the ideal for choker lift. These slings available in two types; Choker Hardware type & Basket hardware type. slings can also be used in Vertical hitch and Basket hitch. Basket Fitting type – These slings are made with a triangle fitting at both ends. This sling can be used in Vertical or Basket hitch but cannot be used in Choker hitch.